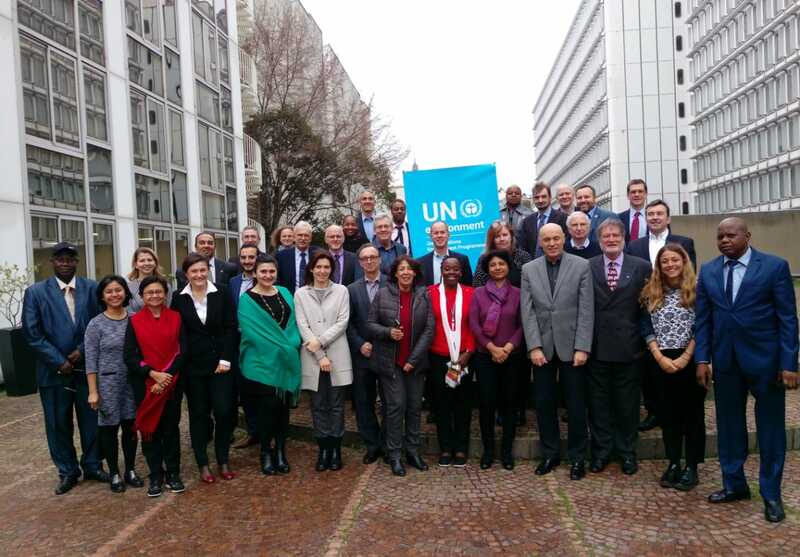 The 12th Global Partners’ Meeting of the Partnership for Clean Fuels and Vehicles (PCFV) took place on 5 and 6 March 2019, in Paris, France. Around 40 PCFV partners representing developed and developing countries, the fuel and vehicle industry, civil society, and experts on cleaner fuels and vehicles, including the European Fuel Oxygenates Association (EFOA), attended the meeting hosted by UN Environment to discuss how to switch to cleaner fuels and improve air quality. Thanks to the successful leadership of PCFV, the developing countries achieved outstanding results in eliminating the leaded petrol. Only two countries still have to ban it and thirty-six countries have already switched to low and ultra-low sulphur fuels. Yet, more efforts are needed to improve the urban air quality from cleaner fuels. One of the solutions would be to introduce cleaner vehicle standards (Euro 5/V and 6/IV). Since 2012, only 15 countries have introduced Euro 4 equivalent vehicle emission standards, mainly in the Latin America and the Asian regions. The meeting saw presentations on a number of issues including on: the role of lubricants in emission reduction; FIA Foundation “TRUE” initiative, which aims at carrying out real world vehicle emissions testing in London and Paris; the Global Fuel Economy Initiative, which promotes vehicle fuel efficiency; the Climate and Clean Air Coalition, which supports reduction of short-lived climate pollutants, UN Environment’s Electric Mobility Program, and Towards Zero Foundation that is supporting a campaign on zero fatalities and zero emissions. PCFV partners decided to focus on three main actions: eliminate lead in petrol worldwide, reduce sulphur levels in fuels and promote cleaner vehicle standards. Further information and presentations are available on the UN Environment website.